Hamilton got the better start on the inside of the grid. He then pulled away from his team-mate, who was pulling away from the two Ferraris busy figuring out team orders. The gap between the Mercedes and the Ferraris just kept increasing without any real effort from the Silver Arrows. Lewis Hamilton became only the second man in F1 history to lead 4000 laps in his career, joining the great Michael Schumacher by doing so. Valtteri Bottas was the first of the Mercedes to pit on lap 22, with the Finn staying ahead of Sebastian Vettel and Max Verstappen, getting a net advantage of around four and a half seconds over the two. On the next lap, Hamilton pitted with the Brit staying in front of his team-mate, albeit with the gap closed after the pit stop. Bottas was now within two seconds of Hamilton. This threat died off soon after with Hamilton establishing his lead once again. Mercedes made a second pit stop, double stacking Hamilton and Bottas perfectly to keep both drivers ahead of the Ferraris. Just to show how dominant the Mercedes have been so far this season – yes, they did have luck in Bahrain – Hamilton is now on 68 points out of a possible 78 and Bottas is on 62 points. Another great 1-2 finish for the Silver Arrows, their third in a row. Where are the Ferraris? 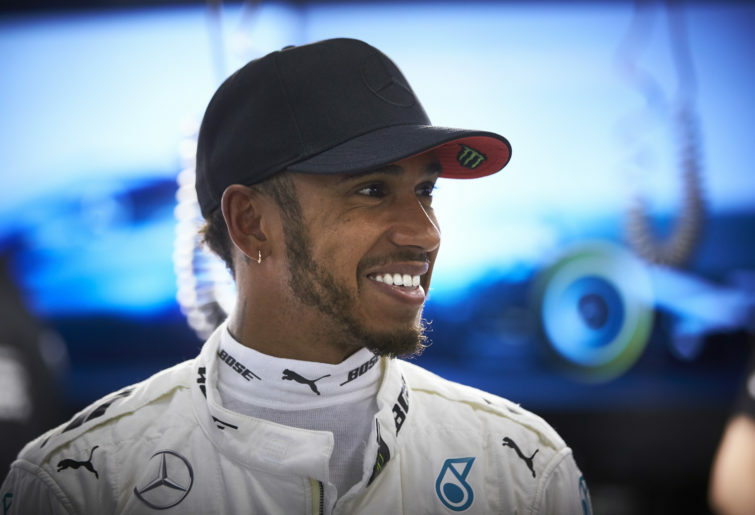 Hamilton spoke to Martin Brundle after the race. “It’s not been the most straightforward of weekends, but what a great result for the team,” he said. Bottas told Brundle how Hamilton got past off the start. “I think I lost at the start,” he said. Charles Leclerc got the better start as Vettel went to the outside of turn one to try and get past Bottas, allowing Leclerc to pass the German on the inside. Vettel got stuck behind his team-mate from then on with only one tenth of a second separating the lap times of the two Ferraris. Then, the team orders began. Ferrari told Leclerc to get going otherwise Vettel would have to go by. On lap 11, Leclerc was told to let Vettel by, which he did on the main straight. 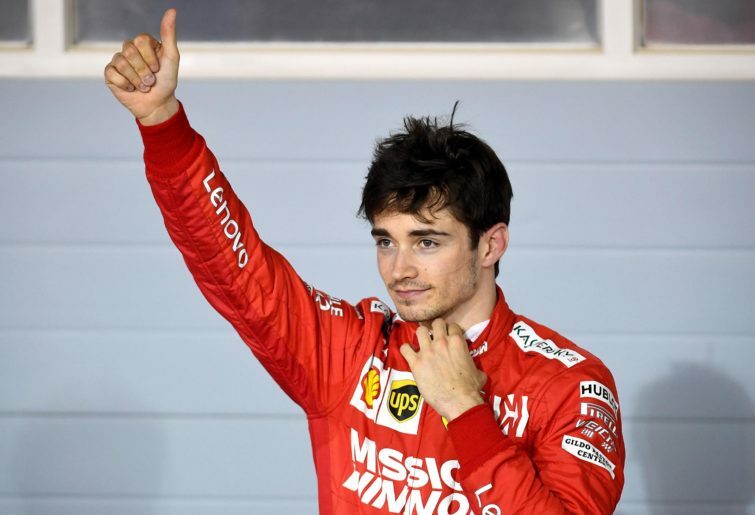 Leclerc voiced his discontent over the team radio, only to be told that there was a job to be done. This story could develop all season long but has there been any season where Ferrari haven’t deployed team orders, apart from when team orders were banned? 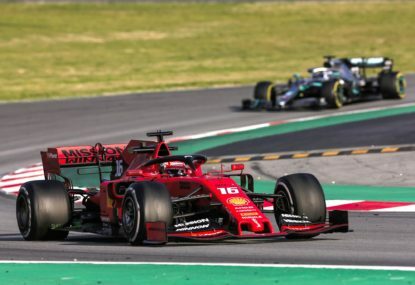 Ferrari were racing the Red Bulls today and came in the lap after Verstappen made his pit stop, with Vettel just staying ahead of the Dutchman after he had made his stop. The two had a great battle on lap 20 with Verstappen locking up while trying to dive up the inside of turn 14, going wide with Vettel pushing Verstappen onto the grass as the German kept his position. Leclerc lost out in the pit stops with both his team-mate and Verstappen getting in front of him. This was a two-stop race and Ferrari covered the second pit stop made by Verstappen. Leclerc did not pit until he had been passed by his team-mate on lap 42, going on a fresh set of mediums. The Monegasque driver did try to catch Verstappen in the closing stages but was unable to do so. Vettel conducted a post mortem with Brundle. “Well happy to be on the podium but tough because we tried to stick with them but I couldn’t,” he said. Max Verstappen came into today’s race ridiculed after his ‘nice guy’ approach to traffic in Q3 yesterday. While Verstappen thought there was some sort of gentleman’s agreement to be observed where everyone stays where they are before they start their flying lap, everyone else disagrees with him. Ten years ago in China, Red Bull won their first grand prix. Fortunes were a bit different this time. In fact, Verstappen spun on the formation lap. Verstappen pitted on lap 18, trying to put pressure on the Ferraris with the undercut. A quite different Verstappen from the man we saw in qualifying was deployed with the Dutchman getting his elbows out. No more Mr Nice Guy. Verstappen made his second pit stop on lap 35, forcing Vettel to cover him. He got ahead of Leclerc once again after the second round of pit stops, finishing in fourth position. Pierre Gasly finished sixth but it was a distant sixth, so there is still more work for the Frenchman to do, but points are points at the end of the day and points mean prizes! He also stole the fastest lap from Vettel at the death after pitting for a set of soft tyres three laps from the end. 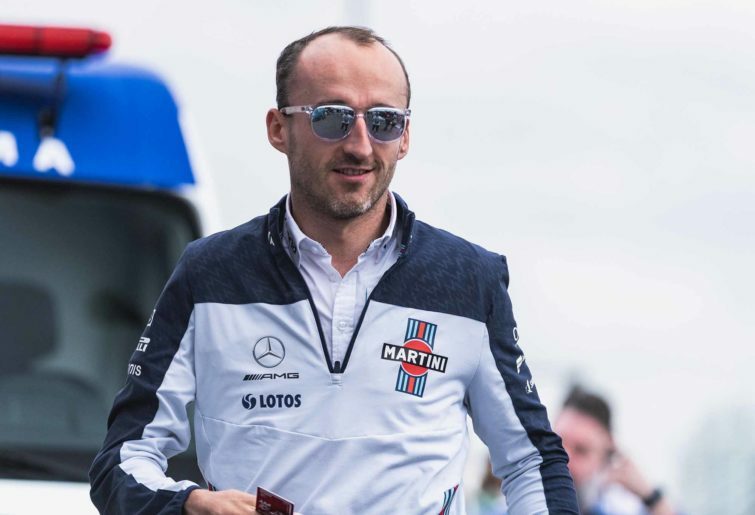 Like Verstappen, Robert Kubica also spun on the formation lap coming out of the turn six hairpin. The medium tyres did not seem to be comfortable in these colder conditions. George Russell initially took advantage of the chaotic start, but as soon as the virtual safety car ended, he got passed by everyone he had overtaken, sitting in 15th just after the conclusion of the VSC period. The two Williams were split by the wounded McLaren of Lando Norris but it was another race where they were at the back of the pack. They finished over a minute behind the next car on the track. I cannot see any improvements apart from them closing the gap to the rest of the field by four tenths in qualifying. Russell and Kubica are frustrated that they can’t get anywhere despite their best efforts with the car they have. 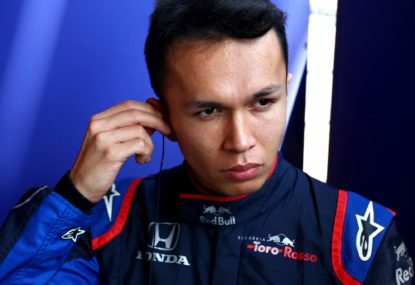 Alexander Albon started from the pit lane after his accident in FP3 yesterday was so severe that a new chassis was required. 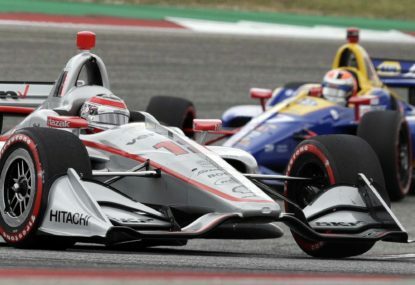 He more than made up for his Saturday disappointment when it mattered on Sunday, finishing in tenth, getting past the likes of Antonio Giovinazzi and Lance Stroll, as well as the Haas cars. Daniil Kvyat did not have a good start, getting oversteer coming out of turn six, which meant he connected with Carlos Sainz and torpedoed into Norris, forcing the young Brit up into the air. Kvyat was awarded a drive-through penalty for causing this collision. After spending an hour driving for no points, he was retired on lap 43. 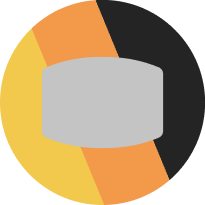 Both McLarens got caught up in the accident with Daniil Kvyat and it took a long time to change Sainz’s front wing, leaving the Spaniard 45 seconds behind his nearest competitor. 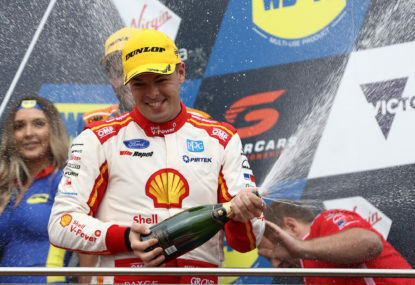 They were left running out of the points for the rest of the race, with Norris being retired near the end of the race. Not a good weekend for McLaren but they can be safe in the knowledge that not all of their misfortune was down to them. Sergio Perez got a storming start, gaining four places with some great overtaking around the outside of turn six. He finished 8th. Stroll did make places and was running in the points but couldn’t stay there as he dropped out of the points after his second pit stop. Nico Hulkenberg was retired on lap 18 – his second consecutive retirement after the double retirement suffered last time out in Bahrain. 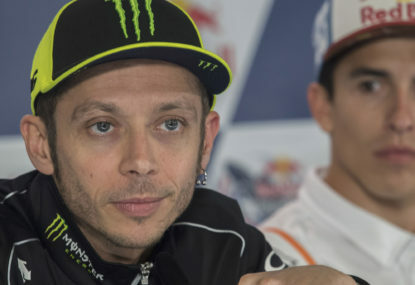 It appears that he was suffering the same problems as those that forced him to retire two laps before the end of the Bahrain Grand Prix. Haas were the first to pit, trying the undercut, which worked as Romain Grosjean got past Hulkenberg as the Renault came out of the pits. After Hulkenberg had retired though, Haas were fighting with Kimi Raikkonen as the Finn had a battle with Grosjean on lap 29. Gunter Steiner said that the race pace was not as quick as they expected so that would explain why they struggled today. Alfa Romeo won the first grand prix at Silverstone in 1950 but their 1000th wasn’t as successful. 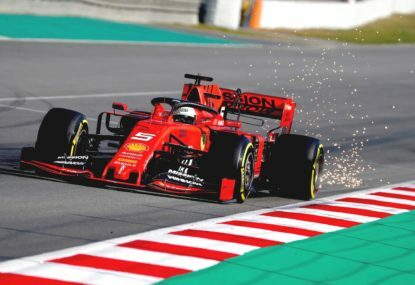 However, it gave Kimi Raikkonen a good points finish as he made good progress through the field, fighting the Racing Point of Sergio Perez in the latter stages of the race. On the other hand though, Antonio Giovinazzi struggled once again, finishing out of the points. He is yet to get off the mark in 2019.